Researchers at Johns Hopkins University hope to eventually reclassify psilocybin from a schedule I to schedule IV drug, according to a news release from the research institution. Psilocybin is the psychedelic drug that puts the “magic” in mushrooms. The hallucinogenic drug has been shown to offer therapeutics benefits such as alleviating symptoms of depression and helping people to quit smoking, for example. But despite some proven clinical uses, psilocybin is still classified as a schedule I drug, which means it is classified as having no medical use and high potential for abuse and addiction. By contrast, schedule IV drugs, which include such controlled substances as sleep aids, have a low potential for abuse or dependence. But before the Food and Drug Administration can be petitioned to reclassify it, psilocybin first has to clear phase III clinical trials. The entire process is expected to take about five years. That isn’t to say that once cleared, psilocybin should be available for prescription use and placed directly into the hands of patients. “We believe that the conditions should be tightly controlled and that when taken for a clinical reason, it should be administered in a health care setting, monitored by a person trained for that situation,” explained Matthew W. Johnson, a Johns Hopkins University School of Medicine associate professor of psychiatry and behavioral sciences. Johnson is the lead author on the study about reclassifying psilocybin, published in the October 2018 issue of the journal Neuropharmacology. 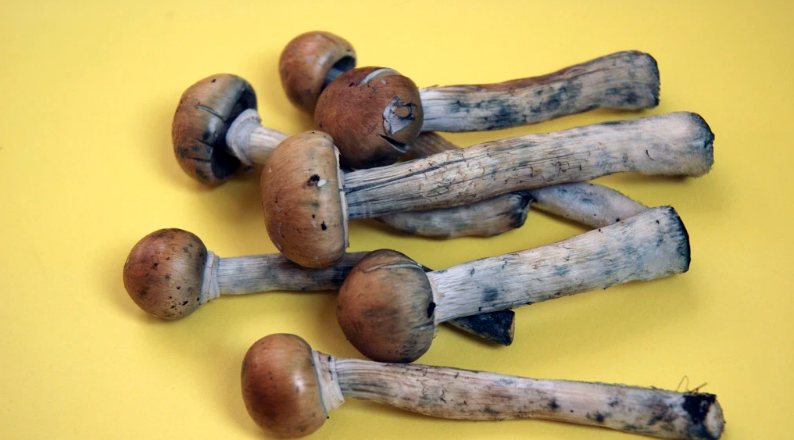 Psilocybin is found in more than 200 varieties of mushrooms and has gained growing acceptance in the medical community in recent years for treating depression. That increased acceptance has also garnered some interest from venture capital. Investor Peter Thiel has stakes in companies using magic mushrooms to treat depression to the general public and has suggested that psychedelics were the next big bet for investors hoping to cash in on cutting edge new therapies.